China Clean Energy Inc. (OTCMKTS:CCGY) through its wholly owned subsidiary, Fujian Zhongde Technology Co., Ltd., is engaged in the development, manufacturing, and distribution of biodiesel and specialty chemical products made from renewable resources. The Company is engaged in the synthesization and distribution of renewable fuel products and specialty chemicals to customers in both the People’s Republic of China and other countries. The May 2016 Performance Report for the China CleanTech Index is now available. 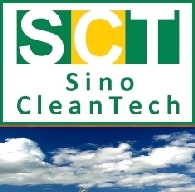 The China CleanTech Index outperformed two of its four benchmarks for the month of May 2016 and recorded a loss of 0.5%. The best performing sub-indices for the month were the China Efficiency Index with an 8.5% gain and the China Waste Index with a 1.8% gain. The China CleanTech Index underperformed two of its four benchmarks for the month of August 2015 and recorded a loss of 10.3%. This was driven by big losses across all Chinese stocks due to the volatile Shanghai stock exchange.